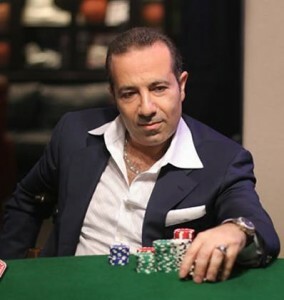 Sam Farha known by his native people of Beirut, Lebanon as Ihsan Farha is a world renowned poker player that has relocated and currently calls the US home. He is a player that has reached great achievements thus far in his poker career yet is still building onto his already solid skill set. He is a player that proves you do not always have to finish first to be considered a great poker player. He currently only holds two World Series of Poker bracelets which he obtained in $2500 Pot Limit Omaha in 1996 and in $5000 Limit Omaha 8/b in 2006. His largest money win actually came from an event in which did not obtain the tournament title but came in second place resulting in 1.3million dollars. This however was a miraculous achievement as he fought back from a devastating loss on day two that left him with a serious short stack. When a player can continue to produce positive and historical hand making progress like those consistently shown my Farha, he deserves nothing less than being considered as a top contender in the Poker world. To share his secrets, style, and masterful understanding of the game, he has been working towards publishing a book entitled “Luck is Not Enough”. 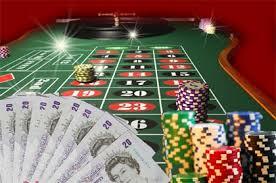 Most of the well known poker players are found within the world of Texas No Limit Hold ‘em. Farha is an exception to this rule as he often chooses to engage in Omaha which is another variation of poker for skilled players. Despite his long road of bad beats and lack of titles, he has proven to be one of the best players in the world. The well known and high-end casino in Las Vegas known as Harrah’s has selected Farha as their spokesman. When a casino that is amongst the best in the nation chooses you to be heir spokesperson to the public, you know consider it to be a great honor. This is a man who may not be the first name you hear in poker rooms around the world, but he will definitely be on the list of great players. He has a lot of potential to grow as he is still a contender in all areas of the poker world. He has nowhere to go but up in a career in which he has already established himself and continues to hone his already solid skills. Farha is a man in which you will hear more and more about as they upcoming years pass. In the world of poker, free is a beautiful thing. We like free, because free means more money to indulge in the things that cost money. If you’re looking for a way to get an edge on your competition, you have to embrace free. There’s just no other way around it. So if you’re sitting here with your nose in the air because we mentioned free…sorry about that. This probably isn’t the article for you. For everyone else that’s looking to sharpen their skills without chipping away at their wallet, might we introduce PokerStove to you? 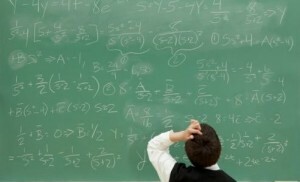 In short, this is a free online poker equity calculator. You need one of these tools for one big reason: you need to know what percentage chance your hand has of winning against another hand. Poker is about winning, but that doesn’t mean that we win in a vacuum. We win when we have the best resources possible to make even better decisions. That’s really what it’s all about here. PokerStove isn’t going to think for you, but you can use the data you receive within PS to make better decisions on the table. If you’re taking notes about hands that catch your eye, PokerStove will fit in with this perfectly. 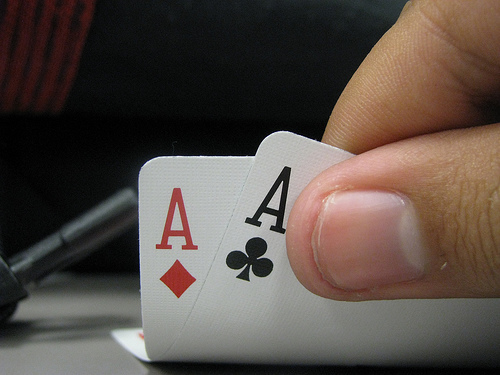 There’s always moments we have as poker players where we wonder — did I really play that hand right? If you knew your odds for winning were higher, would that have an effect on how you raise and bet? Of course it does. The classic example is AA vs. KK. If you have AA before the flop and your opponent has KK, you have to figure out what your most profitable options are based on the odds. Your opponent is most likely going to go all in. That could scare you off, or it could make you feel empowered. You can plug in both AA and KK into PokerStove and find out that 8 times out of 10, AA will beat KK. Now then, as an aside — those 2 times might mean that you’re out a lot of money. This is where you have to believe in odds, rather than getting caught up in the way poker “should” be. There are a lot of things in life that “should” be one way or another, but they really aren’t. There are just times in poker where you’re not going to win. You’ll have to embrace that too in order to become an even better poker player. Yet the fun with PokerStove doesn’t stop there. You can have AA vs. KK, but you can have it as AA vs. KK, QQ, JJ, or any top pair. Flush draws and straight draws aren’t a problem either. If you’re feeling lost, make sure that you download the program and try it out for yourself. Ranges rock, and we would argue this is where the brilliance of PokerStove comes in. You can look at ranges, and figure out when you should be making certain calls. It’s not perfect, but it should be considered a valuable tool. 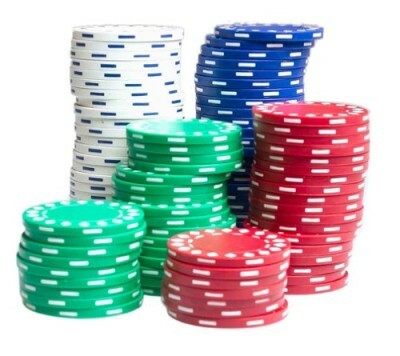 You need to think about equity if you’re going to make good money with poker. There’s no way around it. You cannot just play off your gut all of the time. This is where players end up getting themselves into trouble. Studying the data is something that a lot of players hate doing. But if you look at the professionals, you’ll find that all they really do is study. They want to make sure that they’re doing what works — not just what people say will work. That’s going to get you into trouble, while everything else is liable to set you apart from the crowd. Keeping this in mind is what’s going to make you a much better player with time. And as you already know, long term poker is truly the best poker!